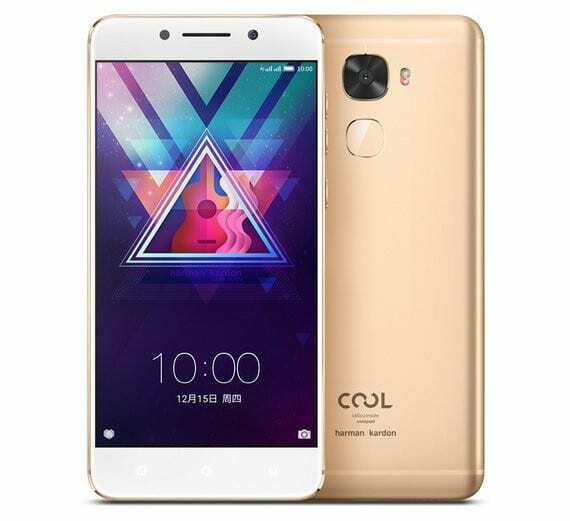 LeEco & Coolpad have been collaborating to release devices like the Cool Changer 1C and Cool 1 in the Cool series recently, and the Cool Changer S1 is the latest in that series. The Cool Changer S1 is the LeEco+Coolpad flagship smartphone of the year and it comes with a beautiful design and a lot of powerful specifications. The Cool Changer S1 has a 5.5-inch IPS in-cell display with a Full HD (1920 * 1080) display resolution, 450nits brightness and a 72% NTSC colour gamut. It weighs 168 grammes and is just 7.5 millimetres thick. A 64-bit Snapdragon 821 processor with four cores and a clock speed of 2.35GHz works with an Adreno 530 GPU to make sure that the smartphone runs smoothly without any lags. It also packs a 4070mAh battery with fast charging to ensure that you’re able to enjoy the phone’s features for longer. The Cool Changer S1 comes in a variety of memory versions; there is one with 4GB RAM and 64GB ROM, another with 6GB RAM and 64GB ROM, and the highest variant with 6GB RAM and 128GB internal storage. The device supports 4G VoLTE and audio streaming can only be made via the USB Type-C port through LeEco’s CDLA audio tech since the phone doesn’t feature a 3.5mm audio jack. It runs on Android 6.0 Marshmallow with EUI 5.8. The Cool Changer S1 sports a 16MP PDAF camera with 4K video recording and a dual-tone LED flash at the rear, while it has an 8MP selfie shooter with 80-degree wide-angle lens up front. It also offers improved security with a fingerprint sensor located below the rear camera module. OS: Android 6.0 Marshmallow with EUI 5.8. Dimensions: 151.4 * 74.7 * 7.5 mm. Display: 5.5-inch, 1920 * 1080 pixels Full HD, IPS in-cell touchscreen. Colours: Champagne Gold, Black Night & Black Streamer. Processor Name/Technology: 64-bit Snapdragon 821. Rear: 16MP with 0.1-second PDAF, f/2.0 aperture & 6P lens. Video recording: Yes, 4K & 720p@120fps slow-mo. Front-facing: 8MP with f/2.2 aperture, 1.4um pixel size & 80-degree wide-angle lens. Audio Technology: Harman Kardon amplifier & USB Type-C CDLA audio. Charging: Fast Charge – Yes, 24W. Launch Date: December 19, 2016. The Cool Changer S1 is available in Black Streamer, Black Night and Champagne Gold colours. The 4GB+64GB RAM+ROM version costs 2499 Yuan in China while the 6GB+64GB and 6GB+128GB RAM+ROM versions cost 3199 Yuan in the country.